Despite studying as a lawyer, Chloé Thévenin had a much greater passion for her humble vinyl record collection. The art of DJing struck a chord at university, later flourishing into full-blown residencies at renowned Parisian nightclubs including Le Pulp and the Rex Club. Having grown up to the sounds of rock, folk and the pulsing rhythms of EBM, Chloé’s eclectic tastes stimulated her imagination. Early productions exhibited an investigative craving that would surface on self-penned albums such as The Waiting Room (2007) and One In Other (2010). 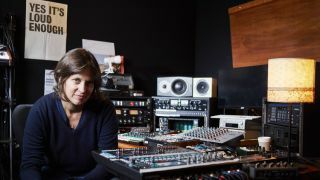 After a lengthy period of gestation, during which Chloé collaborated with numerous artists and the revered French music institute Ircam, she returned to the studio to create her latest opus, Endless Revisions. It’s a sensory body of work, showcasing the artist’s personal growth and incessant hunger for sound exploration. What was your first introduction to the world of music technology? You learned a lot from Steve Reich. Was sampling an important part of your early sound? Did DJing come long before production? Can you tell us about your work with Ircam? Can you tell us more about how you collaborated or performed with the audience? If the audience were connected to the local wireless, I could control the sound inside their mobile phones. Moving forward, how did you develop that? Some people just use the production tools that are readily available to everyone, but you seem committed to exploring beyond that. “I think that trying different approaches helps you to be more independent and also makes you more creative, and this is my main goal. Of course, it’s interesting to use what you’re given, but it’s also interesting to find some other elements, even if they are often quite complicated to understand. For example, whether I’m playing live or in my studio, I like to use pedal effects. I could buy some gear that does everything all-in-one, but by using all these little cheap and fun pedals, you build your own personal sound. Presumably, that’s why you’re interested in 3D and binaural sound? You mentioned the ten-minute track The Dawn, which sits somewhere between club music and home listening. Is that the intention? On the other hand, some of your tracks, such as Nuit Noire and Outer Space, are very deep, dark and cinematic. Focusing on your studio, one of your favourite synths at the moment is the Dave Smith Mopho X4? …although you do have a Korg Minilogue, which was released fairly recently. You like to use analogue reverbs? You seem to have a preference for hardware reverbs and pedals. 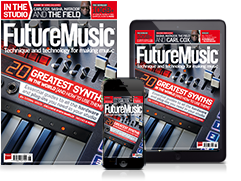 We understand that NI Komplete is one of your go-to software libraries? I have a fascination with vintage, because I’m quite possessive about things, but if everything I had was 100% vintage, I would probably get bored. You’ve used many of the various DAWs on the market. Which one appeals to you the most right now? Fairly recently, you changed to an Orion soundcard. Did that make a big difference? The way modern musicians employ compression these days has attracted some criticism. What’s your viewpoint? Do you feel it’s about a lack of resources or lack of expertise? Chloé’s new album, Endless Revisions (Lumière Noire Records), is out now.